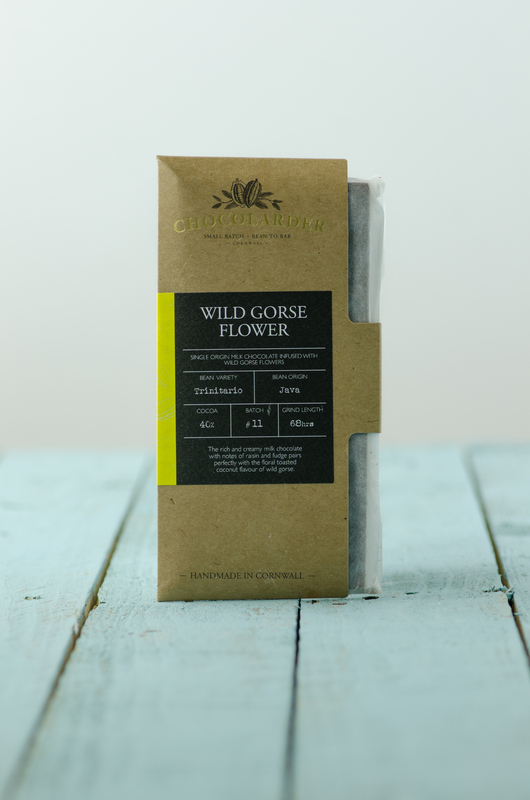 Gorse flowers are handpicked from around Cornwall’s coast and steeped in cocoa butter for several weeks to impart their heady scent. Added to 40% Javan milk chocolate, there’s no mistaking its summery coconut flavour. Tasting Notes -The rich and creamy milk chocolate with notes of raisin and fudge pairs perfectly with the floral toasted coconut flavour of wild gorse.